A pledge to streamline naval procurements, crackdown on corruption and "ill practices" while tightening fiscal management under an innovative approach to transform the way warfighters go about their business. Sound bites from Singapore Ministry of Defence (MINDEF) speech writers? 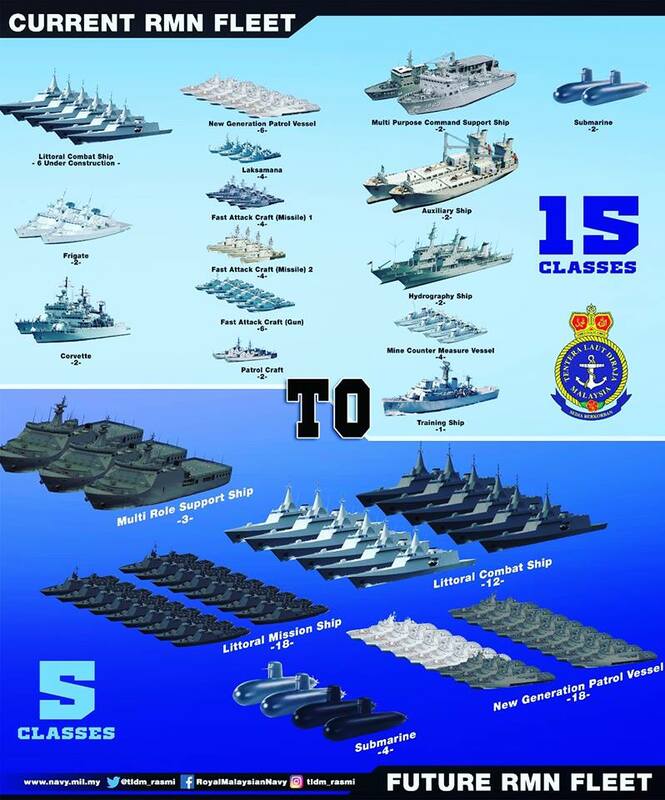 No, it's the Royal Malaysian Navy (RMN's) modernisation effort under its "15 to 5" transformation programme. 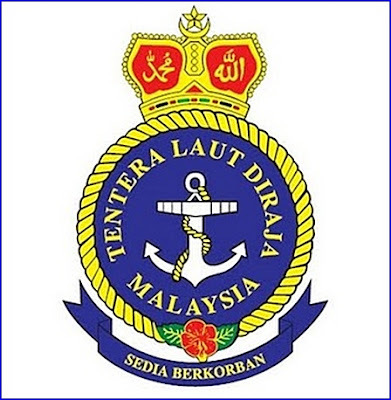 If you've not heard of it, sit up and take notice because it marks the most high-profile, ambitious and most importantly, achievable, renewal effort pursued by Malaysian naval forces in decades. More importantly, it would allow the slim-fit RMN to maximise defence funds allocated to the Service even as the number, scope and geographical reach of operational taskings increase. Many people overlook the reality that while the RMN has to secure the SLOCs between Peninsular Malaysia and Sabah and Sarawak, the RMN has also been active in faraway seas like the Gulf of Aden, protecting Malaysian and international merchant shipping under Ops Fajar (Dawn). The training and coordination required to raise and sustain the RMN for long and distant service is likely to reward its surface fleet, naval aviation and PASKAL commandos with precisely the mindset and experience needed to push through efforts like "15 to 5". These Fajar operatives are no paper warriors. Hatched by Malaysian Chief of Navy, Admiral (ADM) Dato' Seri Panglima Ahmad Kamarulzaman bin Haji Ahmad Badaruddin, the programme marks a sea change in the way the RMN will reshape, rearm and renew itself for the future. The "15 to 5" programme is a moniker that is ideally suited for the internet age. It even has its own hashtag. Easy to remember, its brevity belies its ability to capture the strategic essence for moving from 15 decades-old hull types to five platforms. Even if RMN officers cannot remember the specific reasons for doing so, the call for the Fleet to be prepared to do more with less is crystal clear. Not quite Mahan or Roskill in its strategic depth, "15 to 5" sounds more like vintage Goh Keng Swee by making a clarion call for maximising bang for buck while pushing the frontier tenaciously and innovatively to stay ahead of current and projected maritime threats. There's nothing like it this south of the causeway and perhaps the Republic of Singapore Navy (RSN) needs a catchy tagline to highlight the inroads it is making to raise, train and sustain naval forces for the 21st century. To be fair, the RSN is not short of cutting edge defence projects that pack the ability to transform the RSN. At the current state of play, the RSN appears likely to be the first ASEAN navy to deploy unmanned surface vessels in sizeable numbers as MCMVs. Tasked to clear shipping lanes in Singapore Roads, these unmanned (actually optionally-manned as they will have wheelhouses for people on board to steer the craft to satisfy MPA requirements) MCMVs look set to replace the Swedish-made Bedok-class MCMVs and SAM mine-hunting platforms, both now long in the tooth. The Joint Multi-Mission Ship (JMMS), destined to be the largest RSN hull, is another project that could be used to show how MINDEF and the RSN can set the bar high. 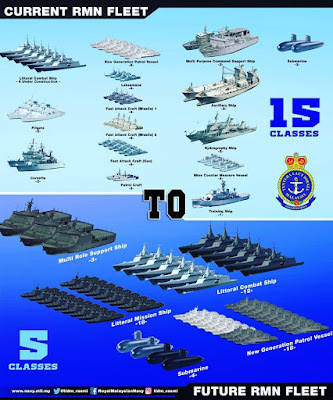 Little has been shared on this project ever since Defence Minister Dr Ng Eng Hen revealed that the Endurance-class LSTs (more accurately, LPDs, but we'll save that for another time) will be superceded by the JMMS. Naval observers have (correctly) surmised how the longer flight deck on the JMMS will raise the ability of the RSN to support naval operations from the sea. Some have speculated if and when the Lockheed Martin F-35B Lightning II Joint Strike Fighters will grace the deck of the JMMS. The more interesting and overlooked potential of the JMMS rests with how the compact flat top could potentially support future UAV operations, particularly small, armed UAVs optimised to fly and fight together in substantial numbers. At the current developmental trajectory, one should not write off the likelihood of the JMMS mixed deck air group comprising manned and unmanned platforms. With the RSN set to mark its 50th year this year, it is perhaps timely for Singapore to reflect how best to articulate the Navy's roadmap for the future. We may be late in the game in coining a tagline similar to Malaysia's "15 to 5". But what we lack in marketing pizzaz, we should make up in a convincing and credible articulation that the RSN of the future will have what it takes to get the job done. A good observation on the move towards amalgamation into comparative platforms, often overlooked in the discussion of our regional naval transformations. Cost and capability are of course on the minds of all naval planners. On this note, whilst we continue to enjoy good relations with our neighbours, with the decommissioning of our PVs (transformation to the LCVs), is the RSN too eager to change platforms, banking on technology rather than an advantage in numbers? Will our new high-tech platforms be vulnerable to sabotage or the sucker punch, overwhelming each ship with too many tasks to undertake, that could have been carried out by the old PVs? Should we 'mothball' our PVs to keep an element of surprise? What's your take?